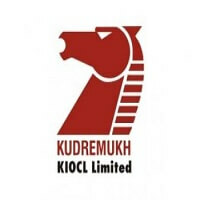 KIOCL Recruitment 2019 – Kudremukh Iron Ore Company Ltd (KIOCL) Job notifications for Graduates, 20 Graduate Apprentices & Technician Apprentices in various disciplines. The detailed eligibility and application process are given below. Selection will be purely based on the performance of Interview. Shortlisted candidates to be called for Interview will be based on final percentage marks obtained in Degree/ Diploma of candidates. How to apply for KIOCL Recruitment 2019? All interested and eligible candidates apply for this position in online from 22 March 2019 to 5 April 2019. After submitting successfully, send a print out application form along with required documents to the following postal address on or before 11 April 2019. Graduate Apprentices: Engineering Degree in Mechanical Engineering / Electrical & Electronics Engineering/ Electronics & Communication Engineering from a recognized/ reputed Indian University recognized by AICTE. Technician Apprentices: Engineering Degree in Mechanical Engineering / Electrical & Electronics Engineering/ Electronics & Communication Engineering from a recognized University. Candidates who passed their BE/BTech/Diploma on or after 01-10-2016 only are eligible. The candidates should not have completed or undergoing apprenticeship training in other Organization need not apply. All interested and eligible candidates can apply for this position in online latest by 25 March 2019.